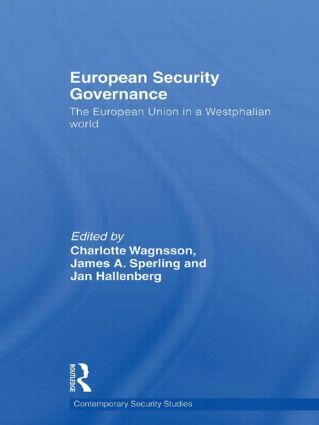 This book focuses on the problems of, and prospects for, strengthening the global system of security governance in a manner consistent with the aspirations and practices of the EU. The EU approach to security governance has been successful in its immediate neighbourhood: it has successfully exported its preferred norms and principles to applicant countries, thereby 'pacifying' its immediate neighbourhood and making all of Europe more secure. The EU governance orientation ultimately seeks to enlarge the European security community and expand the geopolitical area within which armed conflicts are inconceivable, and where state and private actors converge around a set of norms and rules of behaviour and engagement. The EU's success along its immediate boundaries has not yet been replicated on a global scale; it remains an open question whether the EU system of governance can be exported globally, owing to different normative structures (for example, a tolerance of armed conflict or non-democratic governance internally), great-power competition (such as US--China), or ongoing processes of securitization that has made it difficult to find a commonly accepted definition of security. Moreover, the EU system of security governance clashes with the continuing unwillingness of other major powers to cede or pool sovereignty as well as varying preferences for unilateral as opposed to multilateral forms of statecraft. This edited volume addresses both the practical and political aspects of security governance and the barriers to the globalization of the EU system of security governance, particularly in the multipolar post-Cold War era. This book will be of great interest to students of security governance, EU politics, European Security and IR in general. James Sperling is Professor of Political Science at the University of Akron, Ohio, USA. Jan Hallenberg is Professor of Political Science at the Department of Security and Strategic Studies, Swedish National Defence College. Charlotte Wagnsson is Assistant Professor in the Department of Strategic and Security Studies at the Swedish National Defence College.